Sonic the Hedgehog has always struggled in 3D. From the picky camera of Sonic Adventure to Sonic Unleashed and its odd melee combat, Sega’s mascot has never quite gotten it right. Thankfully, fans are here to make it all better with Green Hill Paradise Act 2. 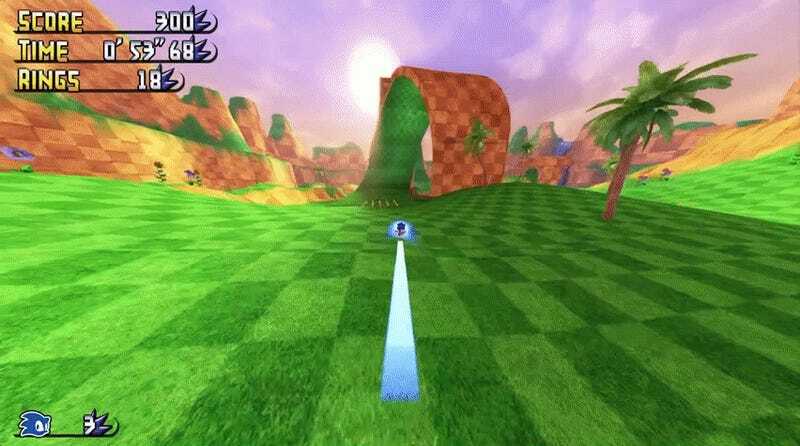 If you play straight through the level, keeping to the set path and blasting through at mach speed, Green Hill Paradise Act 2 can be as short as a handful of minutes. The real draw is fully exploring the level, which offers hidden pathways and plenty of secrets. Not all elements work; any instance of platforming brings things to a grinding and awkward halt. Even with a little bit of speed, you’ll zoom by where you want to land. It’s been a problem with the series ever since it moved out of 2D. In something like Sonic and Knuckles, it just altered pace. In 3d titles including Green Hill Paradise Act 2? It can seriously kill the fun. Luckily, you’re able to quickly reset or just move to different parts of the map. But it can definitely be a buzzkill. 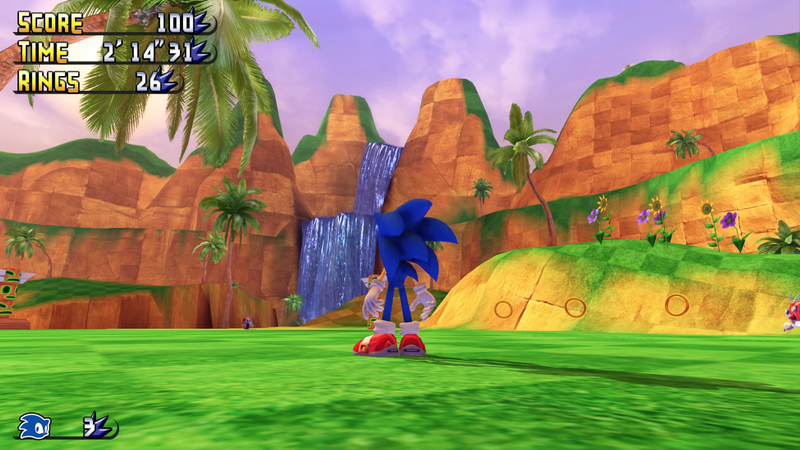 It’s always hard to talk about what makes an experience authentic but I think Green Hill Paradise Act 2 is as genuine a Sonic game as anything in the series proper. I feel like I’ve leapt right into the world I imagined when playing my Genesis. The core experiences of Sonic, the speed and the vibrancy, are captured perfectly. It has been a great few months for fan games. We’re seeing some amazing projects from dedicated players and creators that capture old school experiences while offering plenty of modern fixes. Green Hill Paradise Act 2 has a lot to offer. Most of all, I’m just happy to be running around with Sonic again. Running the fields and blasting through loops feels like reuniting with a lost friend. I really hope that fan creators continue to sculpt new worlds and redefine old ones. Bravo, gang. Bravo!